Timing is everything when it comes to effective pest management. 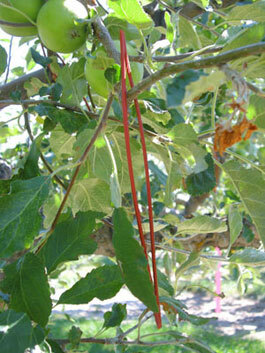 Knowing when a pest is susceptible to which kind of pesticide is the key for successful control. 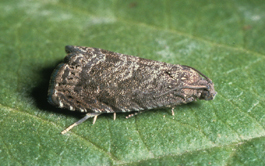 While Oriental fruit moth (OFM) has been a concern for Washington stone fruit growers for decades, infestations of this pest have only been noted in organic apple orchards in the lower Yakima Valley over the past few years. In 2017, damage from this pest showed up with a vengeance in several Washington orchards, most notably in sweet cherry and organic apple orchards in and around the south-eastern edge of Yakima County. While significant losses were noted in organic apples, the economic impact of the damage identified in cherry is currently unclear. 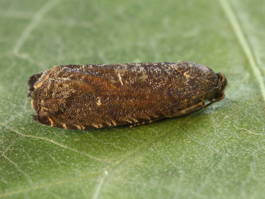 How Does Codling Moth Mating Disruption Work? 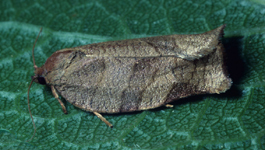 Mating disruption dispensers work by releasing synthetic pheromone which prevents or delays males from finding females, thus reducing the reproductive rate of the population. 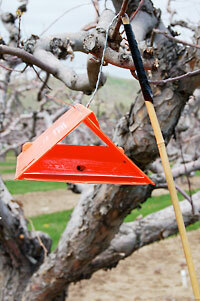 Now is the time to decide which dispensers to place in the orchard so you have enough time for ordering and to organize your work force.